Antibiotics including common pain killers used by hospitals is becoming ineffective in hospital treatments in Samoa because of continued unnecessary usage. The National Health Services and the Oceania University of Medicine say that certain bugs and bacteria have now been proven to be able to resist antibiotics and they’re causing a big problem for the hospitals. Part of the problem falls under three parties, doctors who issue antibiotics, the patient or person taking them as painkillers, and the pharmacies releasing them. "Doctors have to be careful too when they issue out antibiotics to patients. They have to make sure they’re signing out the right one to them and to make sure the time frame to drink these is correct," said Dr. Viali Lameko Head of the Oceania University of Medicine. 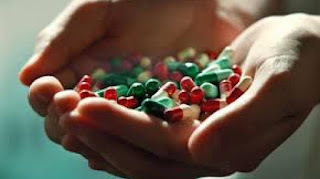 Dr Lameko says each of the three parties must own up to responsibilities in managing and controlling their usage of antibiotics for pain killers. Most have been reported by the hospital to be used to repel a simple flu, or a migraine and are being consumed irresponsibly. "Sometimes when the person who is sick doesn’t come see the doctor, chances are they’re going straight to the pharmacies. What we see is that in order to cut down on the unnecessary use of antibiotics, all three parties must work together to contain it. Otherwise soon drinking strong doses of antibiotics will become ineffective even for surgeries," he added. The bacteria repelling antibiotics is called antimicrobial resistant bacteria and the NHS and OUM are educating the public on its harmful effects to medicinal antibiotics. "It’s not just overseas and it’s a real problem. We have to identify drivers of this problem here in Samoa and those drivers are in the three categories I pointed out, prescribers, dispensers and receivers," Dr Lameko added. "What we need to see is to finalise a plan for resistance against this bacteria and to at least reverse the problem in Samoa. The last thing we want is that in 20 years and we see the continued growth in Samoa and that means most diseases won’t be treatable with antibiotics anymore, at least not in safe doses," he said.